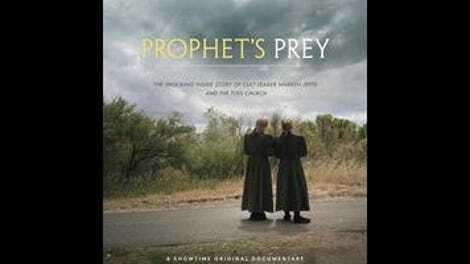 Amy Berg’s documentary Prophet’s Prey is, in a way, the third part of her loose “exploitation of children” trilogy. Berg made a strong feature doc debut in 2006 with Deliver Us From Evil, an Oscar-nominated film about the cover-up of one Catholic priest’s serial sexual molestation. Earlier this year, she courted controversy with An Open Secret, alleging systemic abuse of child actors in Hollywood. (In between those two movies, Berg made the “West Memphis 3” overview West Of Memphis, which is thematically adjacent to the others, if not quite in line.) Her latest tells the story of Warren Jeffs, the imprisoned president of the Fundamentalist Church Of Jesus Christ Of Latter-Day Saints, a polygamist sect rooted in the original Mormon faith. Among Jeffs’ many wives were underage girls, whom he impregnated. There are two main threads in Prophet’s Prey. The first has to do with the history of the FLDS, and what life was like inside Jeffs’ various compounds. A multimillionaire due to shrewd real estate deals—not to mention his Mafia-like profit-skimming from scattered FLDS businesses—Jeffs controlled large blocks of land and homes, where he set himself up as a divine figure, to be obeyed unquestioningly. He cut his followers off from popular culture, and demanded strict codes of dress and behavior, sometimes using violations by the young ones as an excuse to bring them into his office—both to chastise and abuse them. He prophesied disasters and end times, and convinced his people that because of this, his more bizarre behavior was justified. Some of the most unsettling material in Prophet’s Prey is the audio tapes of Jeffs’ sermons, where in a soft monotone voice—in sentences weirdly punctuated with extra syllables—he explains that anything is acceptable if God decrees it. Berg has almost too much good material to work with in Prophet’s Prey, and she doesn’t always synthesize the two halves of the movie well. When it doubt, this film leans on the most sensational details, from the damning video evidence of Jeffs consummating his marriage to a 12-year-old—presented here via stomach-turning audio excerpts—to the shots of Brower being stopped and questioned while driving around an FLDS neighborhood. 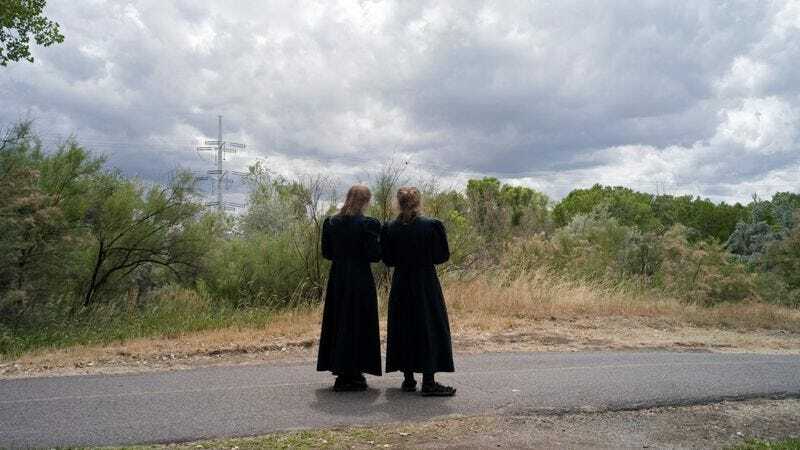 Also, there’s a third major piece of this story that doesn’t get enough screen time, involving the post-cult lives of some of the people who escaped the FLDS after Jeffs’ arrest. Still, for the most part the film follows through on the point of its opening anecdote, which has Krakauer recalling the time he unknowingly drove through the Jeffs-owned community of Colorado City and was shocked to find polygamists living there more or less openly. Prophet’s Prey is fascinatingly freaky at times—whether Berg’s playing a snippet of Jeffs singing “Blowin’ In The Wind,” or she’s showing photos from one of the times he dressed like an ordinary person and took a lavish vacation from his own faith. But the real story here, as in Deliver Us From Evil and An Open Secret, is that so many people knew what was going on and still did nothing.